Newlyweds beware: The longer you are married, the more you will argue about money. U.S. married couples argue an average of three times per month about their joint finances. But once couples hit their mid-40s, these spats increase to four times per month, according to a telephone survey of a nationally representative sample of 1,005 adults by the American Institute of CPAs. “The stakes are higher” for older couples with more money in savings, said Kelley Long, a member of the Institute’s financial literacy commission. She said middle-aged couples also argue fiercely about steep financial obligations, such as how to pay for the children’s college. Baby boomers who’ve left the labor force in their pre-retirement years are in better financial shape than they once were. 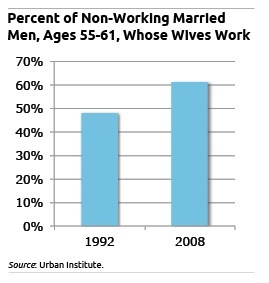 Potential explanations for this trend range from greater U.S. inequality that launched more boomers into the top wealth tier to a rise in the numbers of married men who don’t work – but have wives who do. Mark Wexler (right), director of the documentary “How to Live Forever,” with fitness celebrity Jack Lalanne. Immortality hasn’t been this hot since Ponce de Leon searched for the fountain of youth in 16th Century Florida. This spring, Jane Fonda is promoting her new book, “Prime Time,” about what she calls the “third act” of life as more Americans are increasingly healthy into their 70s, 80s, even 90s. Not to put a damper on things, but can we afford our third act if we’re not Jane Fonda? Noting the 30-year increase in U.S. longevity over the 20th century, she said it is ushering in a lifestyle “revolution.” But an index produced by the Center for Retirement Research, which funds this blog, indicates that we won’t have enough income to afford it. This regularly updated retirement index shows that nearly half of U.S. households with boomers in their early 50s are “at risk” of not having enough money for retirement. Are you ready for your glorious third act? Or will it be more like the explorer’s quest? Pure myth. 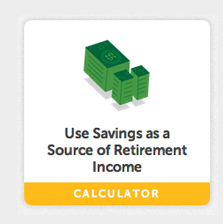 The Center for Retirement Research at Boston College has created a prototype personal finance website with tools and information on topics ranging from how to reduce spending or refinance a mortgage to the best way to draw down savings during retirement. The website offers a comprehensive set of tools backed by impartial academic research – not sales pitches. 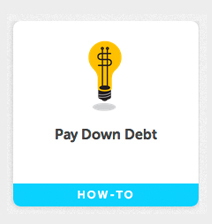 Individuals can use each calculator, “Learn More” lesson, or “How To” guide individually or as the building blocks for an overall financial plan, which they can construct in a step-by-step process that begins on the homepage. The website, also called Squared Away, was created by the Financial Security Project (FSP), a financial education initiative of the Center. It was funded (also like this blog) by the Social Security Administration. The Center plans to distribute the site through various organizations, such as credit counselors, financial planners, employers, credit unions, and non-profits involved in helping low-income people build up their savings. More than one in four Americans revealed that they put their “mad money” in the freezer. 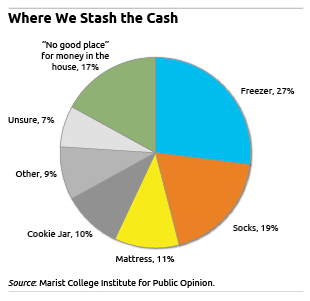 The freezer strategy was more popular than socks and mattresses, according to a Marist College survey last month of more than 1,000 people. More people with college degrees chose the freezer than did non-college graduates. But the second most popular hiding place – socks at 19 percent – was particularly popular in the Northeast where people own a lot of socks. Third was the proverbial mattress, and more men than women went this route. Wisely, 17 percent knew of “no good place” in the house to hide their mad money. I didn’t admit this to anyone at the time, but maybe it’s alright to talk about our quirky financial habits. Apparently, many of us have them. 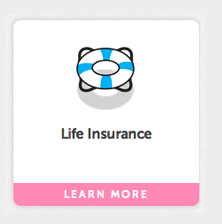 Being a single woman is serious stuff – financially that is. One website recently published a humorous list of the advantages of being a single woman today. “You don’t have to be worried about not getting a special gift from Him on your special day because there is no Him.” Or: “There is no argument about where or when to go on vacation.” Toilet seats were also mentioned. This may not amuse 30-something women with serious concerns about whether they’ll marry and have children. But face it: single women of all ages have more difficult money issues than their married friends. When two incomes are coming into the household, a couple shares the rent or mortgage. Fixed expenses can add up over a single woman’s life or during long bouts after, say, divorce. “Single women are far more at risk,” said Wendy Weiss, a former financial adviser who writes a blog on her website, Hot Flash Financial. “If we make 77 cents on every dollar [men earn], men have 23 percent more discretionary income, and that’s usually the amount we advisers recommend you put away,” she said. Women also live longer and need more money to get through retirement, she said.